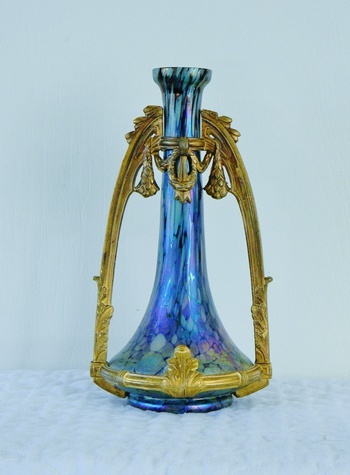 Rindskopf Amethyst Cobalt Papillon Gold Mount Vase 9"
In Art Glass > Bohemian Art Glass > Show & Tell. This was a piece I could not have passed up. I was in love with at first site. This beauty is my first Rindskopf Papillon vase in my very first metal holder. The holder is stunning...and the Papillon just POPS! I think this won't be the last metal holder that I acquire. Brat, I cannot stop staring at it myself....in awe! I feel so blessed! Pretty sure I have a pulled feather piece in the same shape, but I won't be able to photograph it until tomorrow night. Warren, mega thanks for being so on top of helping me!!!! Its gorgeous, congrats Lee. I love the metal and double handles. How incredible is that ! The holder is like a picture frame on a work of art. love these - but I'm almost more interested in the construction -any chance of pictures of the ties at the back holding on the metalwork? -there appear to be distinct types of fastenings - suggesting different metal companies. Amy, love this one...very much! AWESOME... I want one! I love this! jags, I did too..so I had to get this one!!! Absolutely gorgeous!!!! Wish I had one setting on my mantle. Maybe one of these days. Great piece!! I can understand the love at first site it got a oooh out of me it would put a smile on my face also. Well done. Sooo beautiful! Love all of it, and the iridescent color, Mmmm! How could i miss this one???? i love it!!! austrohungaro you should see the rest of her site. I know, she's got such an amazing collection, and lately it's becoming an incredible one!!!! It sure is she is one in a million has made me feel so welcome on this site & helped were she could. Great bunch of people on this site. Gary & Leah, take a good look......and please don't comment on my postings unless you have real evidence...thank you. Craig, I see the differences in shape...and will concur with you. Anyone can see that! czechman & Lee looking at this post now side by side czechmans looks thicker in the neck or is that just my eyes. Wow - what a flurry. Far too few things are certain in our world, aren't they? With that in mind... we have to concede that some decors are certainly duplicated between companies, as are shapes. I can show you a Loetz line drawing that matches a Rindskopf vase precisely, down to the proportions, angles, and size. But the Rindskopf vase that comes in this shape is in no decor ever done by Loetz... we (reasonably) think. The shapes in this exercise are similar, but to my eye there are three different shapes, and no two are identical. For a comparison of the yellow one to Lee's vase, look no further that where the flared rim meets the body of the vase. The yellow one meets at a sharp angle - Lee's is more contoured. The Dr. Fischer example certainly has a thicker neck, and doesn't flare out at the bottom as much, but the metal mounts are the same. What does that prove about the glass? Probably nothing. With regard to the yellow "barber bottle" - I am far from convinced that the stopper in this piece is original. It doesn't make sense to me to put a stopper in the mouth of a piece like this - it might fit, but the flared rim, it would seem to me, would be destroyed in no time. Setting that aside, and conceding for a moment that the shapes are similar, couldn't you then just as easily hypothesize that the yellow vase is also by Rindskopf? By what basis would you call it Kralik? Or anything else for that matter? 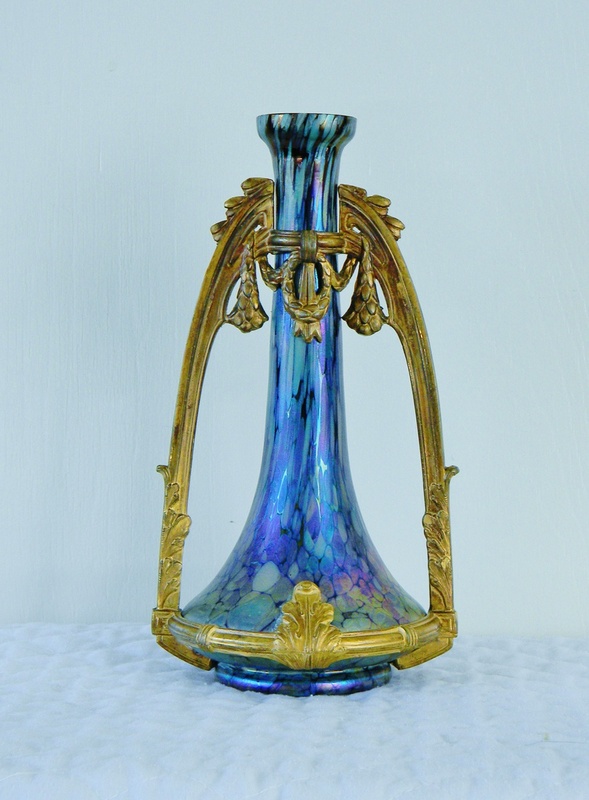 In the case of Lee's vase, we have a dark blue oilspot that Rinsdkopf is known for in a metal mount that at least one pretty smart guy (not me) is sure was used by Rindskopf (even if the shape was a little different). Gary is right that we should know the relative sizes of these pieces in order to account for variations in proportion. In summary, I think there is more here to suggest that Lee's vase is Rindskopf than any other maker (show me the Kralik decor that matches this piece - I've never seen it in the "Kralik decor index" or anywhere else). If anyone can prove otherwise, we who thought Rindskopf can stand corrected and we'll all have learned a lesson - if not, then isn't our idea at least as good as yours? P.S. I don't think we should be in the business of condescending and talking about someone on the thread in third person, as though they weren't even there. That's bad form, to say the least. Craig, good point.....thanks for the examples! Lise, what a wonderful comment!!! racer4four & Don, many thanks!!! manddmoir & vetrissimo, many thanks!!!! mikelv85 & LoetzBuddies, many thanks!!! Loving it again.............and STILL !! Shareurpassion, I am humbled and happy you love my collection. Thank you!!!! Moonie, I know this is special to you Baby. Love you! Just had to love this again! 2) Utilizing auction houses as attribution sources is a bad habit to fall in to. 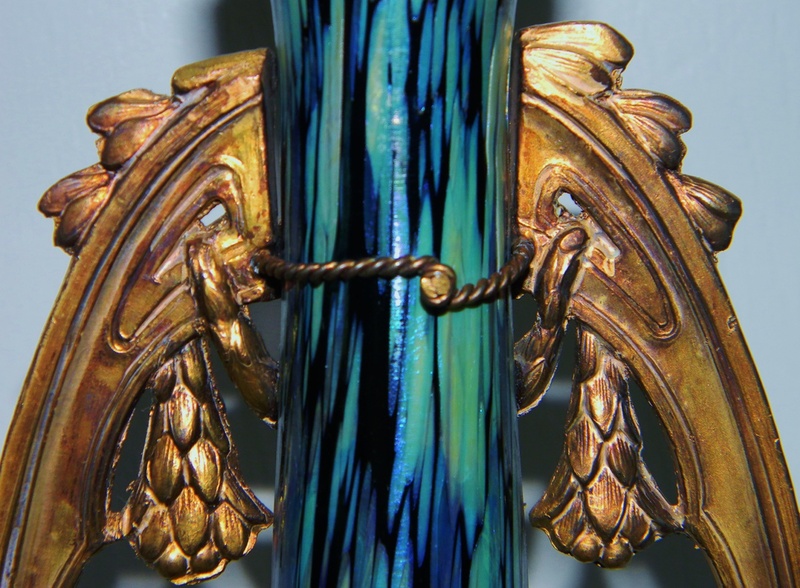 Some are better than others, but the vast majority are notoriously bad at Bohemian glass attributions. 3) I am curious as to a description of the difference between Kralik and Poschinger Helios that would allow people to tell the difference. 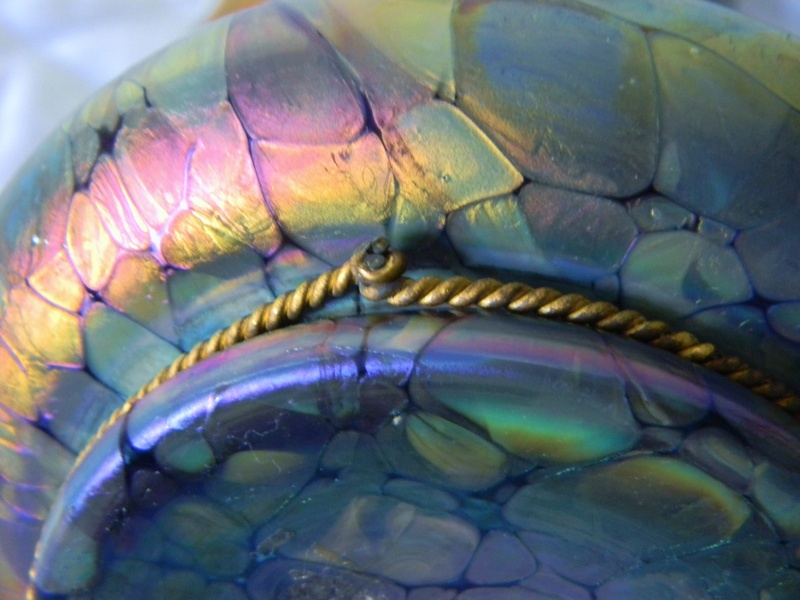 Also curious if anyone else that you know of made a Helios style decor? Ho2cultcha, many thanks for the love!! GlueChip, many thanks for the love!! !